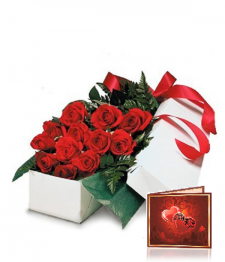 This enticing basket is filled with savoury truffles, chocolate and fudge. 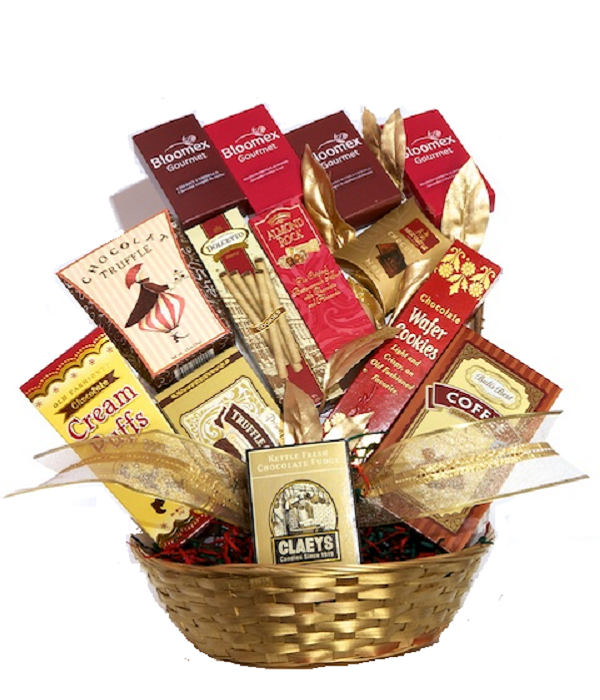 Delight your chocolate lovers with this fantastic basket of premium quality ingredients. This basket has it all! The "Belgium Surprise" Gift Basket contains twelve (12) gourmet items and includes any combination of the following gourmet treats; Chocolate Crackle Cookies, Roasted Almonds, Chocolate Salted Caramel Cookies, Salt Water Taffy, Caramelized Belgian Cookies, Wolfgang Puck Euro Style Coffee, Lindt Lindor Milk Chocolate, Three Pepper Blend Water Crackers, Hardwood Smoked Oysters in Sunflower Oil, Cafe Latte Barista Blend, Belgian Truffles, Dark Chocolate Truffles, Highland Select Tea, Sweet Butter Cookies, Baci Chocolate Pralines, Wild Freshwater Tuna, Mild Quebec Cheddar Cheese, Chocolate Covered Graham Crackers, Napa Valley Honey Mustard Sourbough Nuggets, Chocolate Wafer Cookies, OKA Cheese, Almond Roca Toffee, Wild Pacific Pink Salmon, California Rail Fruit Candy, Primo Dolce Truffle Cookies, Balderson Royal Canadian Cheddar Cheese, Chocolate Milano Biscotti, Dark Chocolate Bars and Lindt Excellence DARK Chocolate.